Selected Villas for rent near Nikki Beach Club Phuket (Phuket) - Contact us now! 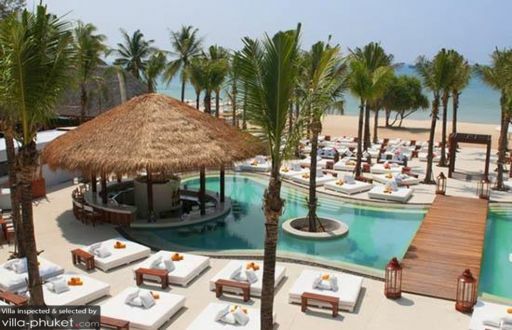 Chic and sleek, Nikki Beach Club seems to have it all. The beach club boasts an excellent location, stylish interiors, a myriad of trendy entertainment options and an extensive fusion food menu. Outdoors, two thatched-roofed bars flank the swimming pool, and an al fresco terrace overlooks the Andaman Sea. What sets Nikki Beach apart from its counterparts is its array of entertainment options. Guests can look forward to enjoying fire shows, as well as live performances by musicians and dancers daily.